When it comes to running a PPC campaign, the first name that comes to your mind is AdWords from Google. While this is a really good ad network, it is also a very expensive one. Even with careful keyword selection and targeting, it is not an exception to pay more for AdWords ads than you make in revenue. Cost is the main reason to look for alternatives to AdWords. Fortunately, such alternatives do exist and the best is that some of them could even outperform AdWords in terms of return on investment. Here are 12 great AdWords alternatives to consider. Facebook paid ads are a great alternative, especially if you are targeting a younger audience. Facebook is the number one social network and (almost) the whole world has an account with it. Facebook ads offer lots of targeting options &dash; you can choose age, location, gender, hobbies of the audience to watch your ads. However, do have in mind that with Facebook generally the click through is lower, so don't get discouraged if on Facebook you get fewer clicks on your ads than on other networks &dash; this is pretty normal. Bing and Yahoo are Google's competitors not only in the area of search engines but also in online ads. Yahoo!/Bing Ads, formerly known as Microsoft AdCenter appeared after the ad networks of Microsoft and Yahoo! joined forces in order to beat Google AdWords. Yahoo!/Bing ads isn't a cheap alternative to AdWords but you should also consider it because it is really good. Basically they offer search advertising (i.e. ads are placed in the search results of Bing search engine) and if you manage to correctly identify your keywords, you can see huge results. The biggest online marketplace is also a huge ad board. Amazon Product Ads place your ads on product pages. This makes the positioning very targeted because if a user is reading about a product similar to yours, your ads are likely to catch his or her attention. Since Amazon sells everything but space ships, it is a good alternative for almost any niche because chances are there will be numerous products in your niche to publish your ads alongside. 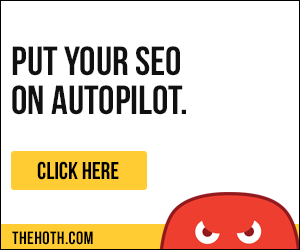 In addition to the big three AdWords alternatives (i.e. Facebook, Yahoo!/Bing ads, and Amazon), there are many smaller ones that still serve millions of impressions a month. One of them is Clicksor. It isn't the cheapest alternative because it has $0.05 cents a click minimum but it is a good one because its conversions are known to be excellent. If clicks are expensive for you, check the other forms of ads offered by Clicksor, such as popunders and interstitials that are CPM or mixed CPM + clicks. In terms of cost, 7Search is probably the most cost-effective ad network. It has low per click minimums, high conversions (though this depends on the niche) but also high numbers of fraudulent clicks, as some marketers complain. Nevertheless, even with these allegedly high numbers of fraudulent clicks, it is still a very good alternative to Google AdWords. AdBrite is another big ad network and some marketers claim it works really well for them. Costs vary a lot depending on your keywords, so as an alternative it isn't necessarily very cheap (though the same keywords cost much less than on AdWords). AdBrite offers lots of flexibility in targeting, numerous ad sizes and types (text ads, banners, BritePic, which are cute photo ads), and decent conversions &dash; what more can you ask for? Bidvertiser is very similar to Adsense and AdWords. It is another big network of publishers' sites. What is most distinguishing about Bidvertiser is its relatively low CPC with moderate to good conversions. It isn't an alternative for all niches but overall is a good choice. Dynamic Oxygen is a relatively unknown ad network but with some good offers. Similarly to Clicksor and AdBrite, they offer many more types in addition to PPC. Its PPC division is not very expensive ($0.03 min bid per click) but conversions could be a problem because Dynamic Oxygen doesn't have that many sites to match your ad with, so your ad might end in sites that are not completely relevant to your niche. Infolinks is great for intext ads. Its clicks are cheap, but targeting is a bit of a problem. It has a requirement that you spend at least $15 a month, which isn't much (many marketers spend ten times more a day on ads), especially compared to the $50,000 a month min at Chitika, for example. BuySellAds is an ad marketplace. It's not a PPC network but you can buy ad space on sites of your choice. Prices vary a lot depending on the traffic of the site but it is possible to buy an above the fold spot on a relatively high-traffic site for $15 a month or less. Because of this, BuySellAds could turn more profitable than PPC. If you choose the sites well, you can do great because for a flat fee a month you might be getting targeted clicks at under 1 cent a click. Adknowledge Miva is just one more ad network to consider. It offers cheap PPC with decent conversions, at least in most niches. They have a huge base of publishers, which means you stand a better chance for your ads to be run on relevant sites. Some webmasters have complained about fraudulent clicks but unfortunately these are present with any ad network. If you are interested in ads on popular blogs rather than ads on search engines or other types of sites, BlogAds is the place for you. They specialize in ads on popular blogs, so you might want to check if the blogs you are looking for are listed there. They also do social media advertising, so if your audience is to be found on social media, you could consider this as an alternative to reach it. It is not possible to say which of the AdWords alternative is best. In some cases one network might do brilliantly, in others it might be a complete failure. This is why you'd better test with a small budget how a network works for you. Try the same landing page with multiple ad networks and see which converts best. And never forget &dash; you must always measure performance because even if one ad network used to perform well in the past, things change and you wouldn't like to waste your money on expensive clicks that don't convert well.